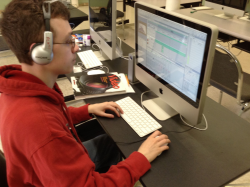 Web Design and Digital Communication entails learning and making use of many different skills in the areas of video production, graphic design, web design, and game design. 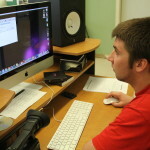 This program prepares the student to not only become proficient in using the software the industry requires, but to also develop as a communications professional. You’ll learn to create a product based on client needs and client feedback. Career opportunities are diverse and student success is based on your drive and ambition. Every company needs to promote their business and communicate with their customers. Your career in the communications industry starts here! Video pre-production planning, including storyboard and script development. Video production, camera operation, selecting and using appropriate lighting and audio equipment, and directing a production shoot. Video post-production, non-linear editing, digital effects, color correction, and distribution. Graphic design layout, typography, using layers, and choosing correct modes for print and monitor distribution. Web design layout, creating pages, links, incorporating graphics. Game design, programming, testing, collecting feedback and making adjustments, marketing your game.